So this page used to be called “Hypnosis for Weight Loss,” but I became more and more uncomfortable with the term. This will probably strike you as odd since the U.S. is pretty much obsessed with weight loss, thinking it is the magic pill that fixes everything. If you’re struggling with your “weight” looking for solutions to feel happier, I can tell you that weight loss is not going to help you feel happier. And when you cycle back up in weight, you often even feel worse. I can help you with changing eating patterns, eating mindfully, and body acceptance, and feeling positive about yourself no matter your shape and size. Hypnosis can definitely help with that. Let me give a real life example of how effective hypnosis can be to change patterns. I did a hypnosis recording for a client who had just had the bariatric sleeve surgery. He wanted to make sure that he maintained his eating so that he didn’t eat his way out of the sleeve, which sometimes happens. I mentioned making a huge commitment and decision to change his life in the hypnosis. And he did. A client came in who was overweight but nowhere near the level that you would need to be for surgery. He listened to the hypnosis every night while he slept, putting his phone on his nightstand and just letting it play while he fell asleep, for several weeks. He then decided to go to Overeaters Anonymous and change his life that way. He started their program and gradually begin to eat healthier. He began to exercise more, slowly. Everything I had put into the hypnosis happened. He continued to listen to the hypnosis every night and eventually I made second, third, and fourth hypnosis recordings for him around food choices, healthy choices, and relapse prevention. If you want hypnosis to support more mindful eating and less emotional eating, to change patterns of relating to food, and to feel better about yourself, I’m happy to be of service to you around changing those patterns. I know from professional and personal experience how difficult it can be and how much support can mean in changing the patterns. We’ll talk more about changing patterns – decreasing overeating and emotional eating. Increasing more mindful eating. 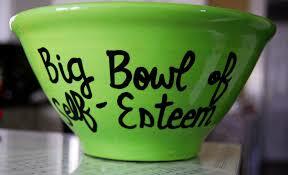 You benefit as a client for mindful, body positive eating patterns which last. 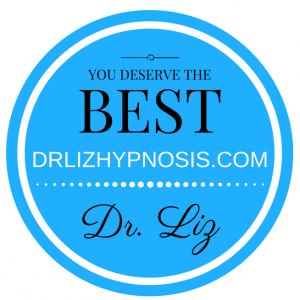 If you’re ready to make a positive change in your life for your health and would like the support of hypnosis in Broward county and the Fort Lauderdale area, email me at drliz@drlizhypnosis.com. We’ll set up an appointment and get you started on your path to feel better about yourself and your eating.